Nestled in the picturesque Blue Mountains of Northeastern Oregon, Union County affords unparalleled recreation opportunities in the vast forests and mountains surrounding the Grande Ronde and Indian Valleys. 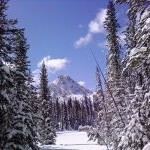 Almost half (47%) of the county’s 2,038 square miles are in the Wallowa-Whitman and Umatilla National Forests or other public holdings. Thousands of visitors annually hike, explore, photograph, snowmobile, four-wheel, cross-country ski, cut firewood, pick berries and mushrooms, hunt, mountain bike, or just enjoy the panoramic views, peace and quiet, and clean air. In 2008 Union County joined with other local non-profit groups to purchase a 3,669 acre tract of land known as the Mt. 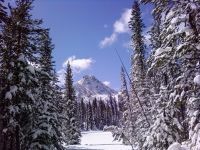 Emily Recreation Area (MERA). MERA provides recreational activities for all outdoor enthusiasts and is located only two miles from La Grande. For more information on MERA visit the Union County website. The Union County Sheriff’s Office along with the U.S. Forest Service and Oregon State Police is charged with assisting visitors in enjoying their chosen activities safely and legally. Deputies regularly patrol the forests in four-wheel-drive vehicles, ATV’s, snowmobiles, and on foot and snowshoes as necessary. Those traveling in the backcountry are advised that cell phone coverage does not exist in many areas. With elevations running from 2,500′ to over 9,500′ snow can come literally at any time of year, and persons venturing into the mountains should be prepared with sleeping bag, fire-starting capability, water, and shovel even if planning only a day trip. Sheriff’s Search & Rescue coordinators emphasize that you should tell a friend or relative where you are going and when you expect to return.Visitors are advised to lock their vehicles and leave no valuables in sight. Many activities on public land require special permits, and persons wishing to utilize the forests are advised to contact the appropriate authorities for specific information. 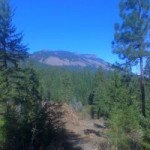 It is unlawful to cut, harvest and transport forest products in the State of Oregon without written permission even if you are on private property unless you have written permission from the land owner or manager. Here is a link to a printable Oregon permit for private land owners. ATV’s (four-wheelers) and off-road motorcycles: As of January 1, 2014 anyone operating a Class I or Class III ATV must have a an ORPD Safety Education Card, wherever they ride. With few exceptions it is required that the driver be be licensed and the vehicle to have a public-land permit. These are available at the ATV shops and cost $10.50 for two years. Additionally, some forest roads are closed to ATV’s and may or may not be posted to that effect. A list is available from the Forest Service or the Sheriff’s forest patrol deputy. 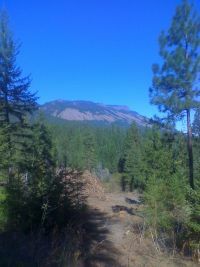 If you are going to operate your ATV on private land, such as Hancock (formerly Boise Cascade and Capitol Forest) a permit may be required. Be sure to check with the land owner prior to riding. Snowmobiles: the driver and the machine must be licensed through the state Department of Motor Vehicles to operate on public land. There are also specific “rules of the road” with which snowmobilers should be familiar before venturing out. Firewood cutting: the season runs from May 1 to November 30. Non-commercial permits are $5.00 a cord for a minimum of four cords and a maximum of ten cords in the Wallowa Whitman NF or 12 cords in the Umatilla NF. Mushrooming: individuals may gather mushrooms year-round, up to one gallon per day without permit. Quantities in excess of that require a commercial permit at $2.00 per day (ten-day minimum) or $100.00 per year and are available at local ranger district offices. Hunting: a valid Oregon hunting license is required for any hunting on public land. Many species including birds also require tags or stamps. Hunting regulations are extensive, and hunters are strongly advised to consult the game synopsis before venturing afield. Fishing: a valid Oregon fishing license is required to angle in the state of Oregon for any person over the age of 13. Catch limits vary depending on species, size, and location. Anglers are strongly advised to consult the synopsis for specific regulations. Snow-Park: ten specially-maintained parking areas totaling 470 spaces are available for those wishing to snowmobile, snowshoe, downhill or cross-country ski, or otherwise access the National Forest in Union County in winter. Funding from the permits is used to plow the snow-parks during the winter months. Snow-Park permits are required to park in these areas from November 15 to April 15. Permits are available at the DMV during business hours, and presently cost $3.00 for a single day pass, $7.00 for a three-day pass, or $20.00 for a season pass. Permits may also be purchased (usually at a surcharge) from some winter-recreation-related private businesses including Spout Springs ski area (566-0320), Anthony Lakes ski area (856-3277), Island City Market & Deli (541) 963-7140 and BiMart in LaGrande (541) 963-2166. These permits are not vended on site, unlike trailhead permits.